What type of student strives at a progressive school? How do I know if this type of environment will work for my child? Students who need structure and predictable routines may have difficulty with a busy and interactive classroom. Students will interact with a variety of adults on a daily basis. Children who continuously test boundaries and do best with one adult authority may struggle in this environment. If your student is motivated by grades and extrinsic rewards, self-directed activities may be harder to complete, as well as open ended tasks. What Special Education Services are available? Any Special Education student within the Oak Grove School District, needing pull out services for speech and language or resource support are able to receive services. Our teachers and staff also make modifications in the classrooms for students who have 504 plans. Note that all Special Education services must be provided by your home district. How are behavioral issues handled? Class meetings are part of the curriculum. This is a place where children learn to be problem solvers. The environment facilitates the treating of children as individuals and creating solutions based on the situation and child. Teachers also utilize buddy classrooms if a student needs a change of environment or a quiet place to work. Our principal is also available to handle situations that cannot be resolved in the classroom, and to provide additional behavior strategies. No. All parents/families need to provide their own transportation. Parents are able to connect with other families in the community to arrange carpooling. Parents have the option of a full-day kindergarten or half day. The core academic instruction is taught in the morning and enrichments typically after lunch. Parents who choose the half day kinder option will pick up their kindergartener prior to lunch and the afternoon enrichments. Throughout the year parents, teacher and administration will meet to see if the student on half day kindergarten is ready to transition to full-day (8:15-1:35). Grades K-3 may have up to 30 students per class. Upper grades may have up to 35 students. The exact numbers depend upon students enrolled. How is the program different from my neighborhood school? The Indigo Program’s teaching and discipline philosophies are what make us stand out. In and out of the classroom you will see hands-on, theme-based instruction that uses the Constructivist Model of learning. Students benefit from academic, physical, emotional & artistic growth to develop the whole child. 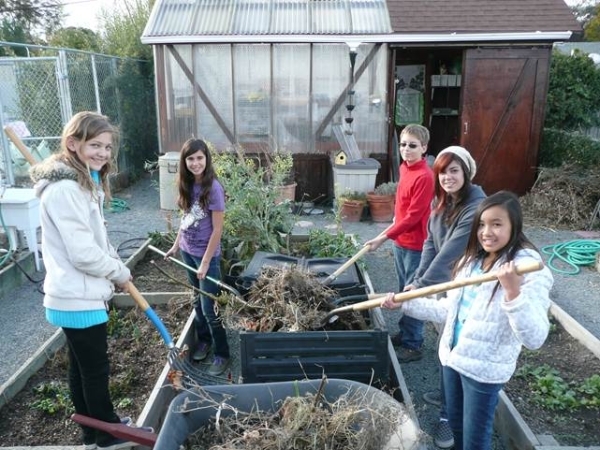 Our program also provides enrichment opportunities in music, gardening, and visual & performing arts. The Indigo Program shares a campus with Frost Elementary School, what resources are available at Indigo? Our school office is found in P4; Cheryl Caton is the school secretary. In 2013 Ms. Genvieve Dorsey (formerly from the Adventure STEM program at Herman Middle School), joined us as Indigo’s separate principal. Indigo shares the health clerk and other support staff. We are also fortunate to have access to the school’s cafeteria, library, and computer lab. Is Indigo a charter school? Indigo is not a charter school. Indigo is a school of choice in the Oak Grove School District. Families must make the choice to attend a school of choice program and agree to abide by the rules of the program. Homework is meant to be a meaningful and supportive extension to work being done in the classrooms. We strive to maintain a flexible policy toward homework to best accommodate students and families. Homework does vary by grade level and may include a combination of journaling, independent reading, skill reinforcement and homework bingos or activity calendars. How does the school approach standardized tests? Students in grades 2-8 participate in state testing. We do NOT teach to the test. Our philosophy is depth over breadth. Our curriculum is based on the state standards and our teachers provide in depth and integrated instruction within the science and social science standards.